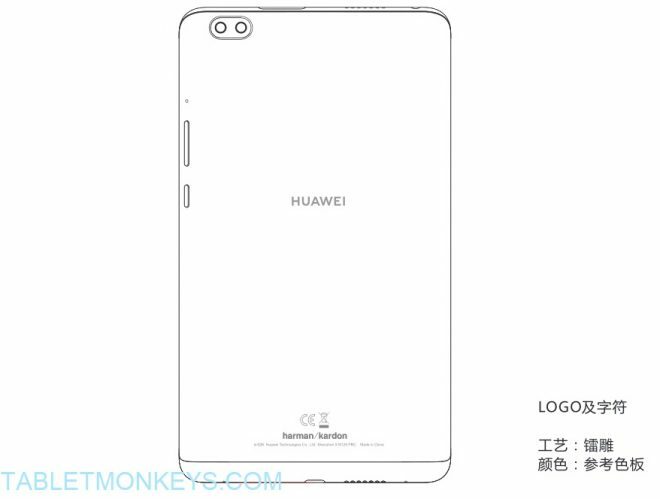 A as of yet unannounced tablet from Huawei called Huawei MediaPad M5 wp was listed as FCC approved by yesterday evening, as a straight 8-inch alternative to the 8.4-inch Huawei MediaPad M5 8.4. Huawei MediaPad M5 wp passed the FCC approval under that specific name, but I can only assume that the wp stands for WaterPlay, so this new 8-inch Android 8.0 tablet from Huawei may be launched as Huawei MediaPad M5 WaterPlay in the Western markets at least. WaterPlay is the additional moniker given to Huawei’s waterproof tablets. And the Huawei MediaPad M5 WaterPlay/wp is waterproof, so that would fit nicely to Huawei’s WaterPlay lineup. You will probably have noticed the dual rear cameras, where there’s a 13MP camera + another 2MP camera. The front camera is a solid 8MP camera too. With two rear cameras, it’s possible to add out-of-focus bokeh effects after taking the pictures. 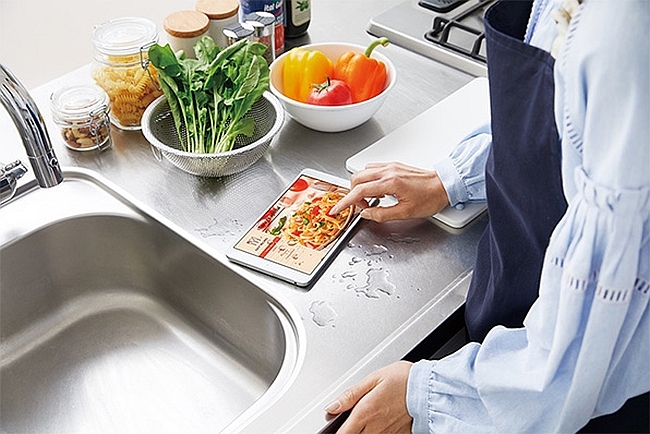 It has Harman/Kardon audio, and a fingerprint reader located in the home button on the front of the tablet. The 8-inch screen is a Full HD screen, while the power comes from 3GB of RAM, and 32GB of storage. The Huawei MediaPad M5 wp/WaterPlay has a 4980 mAh battery too. I’m actually unsure if it will be launched with the Kirin 970 processor or not because of the eSIM. 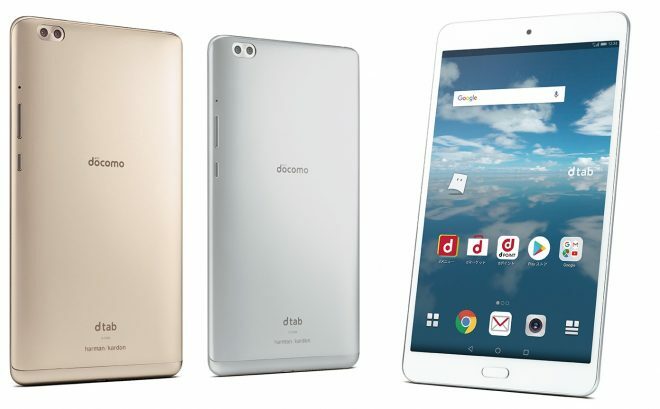 Because this is a 4G LTE tablet too, and not just that but a eSIM tablet, meaning that even if you haven’t got a data plan, you can log on with it, and buy data packages online. It otherwise has full Wi-Fi coverage when you are near a router. The M5 WaterPlay/wp is generally portable too, with a thickness of 8mm and a weight of 310 grams. This waterproof eSIM tablet will start launching during the summer across the world, with the color options of silver grey or champagne gold. 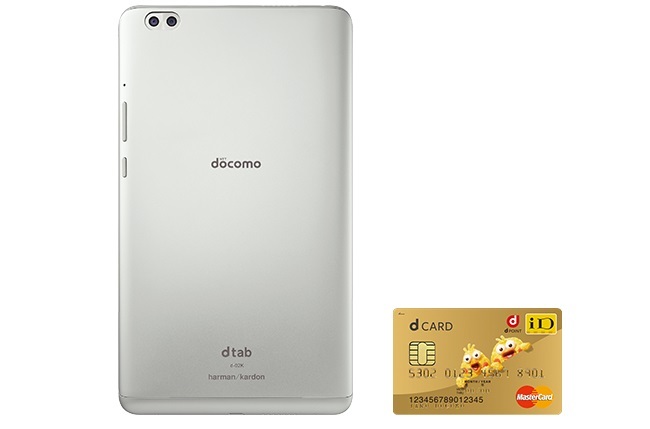 In Japan it will be launched as a tablet in the Docomo Dtab series, while other places it may be branded as a Huawei Honor tablet.